(SOLD OUT) Seats still remain for the 4/13/19 DSD so register today! For those that who have attended any of our FunGun classes in the past…this will be very familiar. We’ll shoot 2 courses of fire that incorporate movement, reloading, use of cover, and multiple targets! Always different and always realistic in training! DSD will be hosted at the Longmont Police Department range, which is a short distance west of I-25 and south of Hwy 119. This is such a great facility! 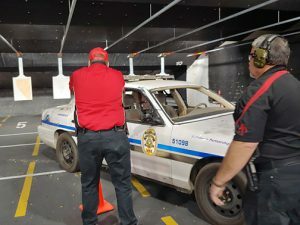 100 yard INDOOR range with full capabilities…heck, we can drive cars onto the range! A separate indoor sim-munition shoot house and classrooms…this is a first class facility that has been for member of law enforcement only. It will be a great opportunity for everyone to get a chance to benefit in the training. COST – 25.00 for non-members and 20.00 for members. For all range members, please enter your range membership number in the comments section when checking out. REGISTERING MORE THAN ONE SHOOTER? – Please list the names of all the shooters in the comments section when checking out. REFUND POLICY – Our policy is that there is no refund for the DSD events. If you contact us prior to an event being ‘SOLD-OUT’ we will allow the payment to be applied to a future DSD event. Seats are limited, so reservations (and payment) are required.